There’s been a lot of coverage in the recent online press of Google’s withdrawal of the paid ads on the right hand side of the SERPS and so we decided to weigh in with our own take on how this may affect your own Google SEO efforts and the organic search listings. 1). Ones that ride with the changes and look for solutions to overcome whatever hurdles they might encounter on their online travails. 2). Ones that accept the changes philosophically and just accept the status quo. 3). 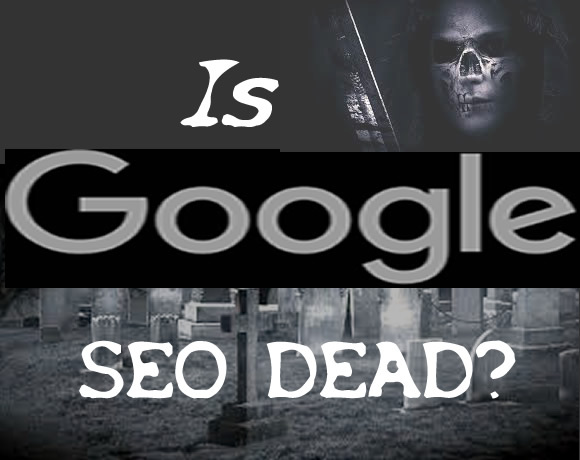 Ones that wring their proverbial hands and predict the death of Google SEO and the demise of small business. 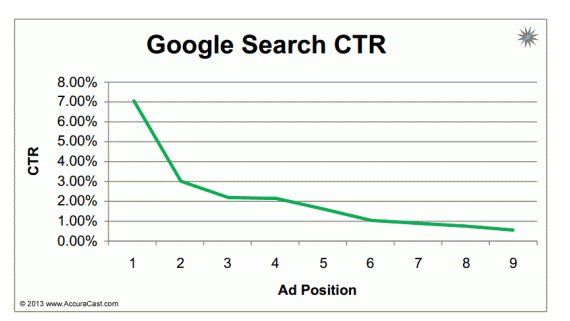 The question is will this new measure have an impact on organic search rankings or not? From first impressions it certainly looks that way but to what extent we will see later on in this post. First, let’s all be honest about this latest development! Google decided to pull the plug on the right side ads as they had been hinting at doing for quite some time apparently because most of us suffer from ‘ad blindness’ and completely ignore those ads anyway. To counter the decline in right side ad click-through rates, they have now placed 4 paid/sponsored ads slap bang above the fold thereby compelling us to focus our attention on those ads and making us have to scroll further down the page if we want to see organic search listings. As you can see, the addition of the extra ad at the top (it used to be 3 ads) pushes the organic search listings further down the page and they are clearly not visible above the fold. So what does this mean for Google SEO and organic search rankings? 1). Will searchers scroll down past the paid ads? the space where the ads used to be is now also a bit too blank and from conducting our own little survey (we asked clients, family and friends), there seems to be a natural tendency for the eyes to wander over to that space and then scroll down to see what lies further down the page. There have been numerous eye-tracking research studies conducted on Google SERPS and here is one that you may find particularly interesting. 2). How will this affect traffic numbers and click through rates (CTR)? This will largely depend on how we all conduct our own search query behaviours from now on. For instance are we going to be satisfied with the 4 sponsored ads that we see at first glance or are we going to scroll past those for more options? There is also the question of where a business is ranked on the first page too. As historically, there are significant differences between rankings in the top 3 organic search results with both traffic numbers and CTR’s as can be evidenced by this study undertaken by Dr. Dave Chaffey of Smartinsights.com. Interestingly, Chaffey lists the differences between brand v non-brand, sector v sector and paid v natural share of search clicks. The study may give us some inkling of the likely affect this will have and is well worth the read. 3). 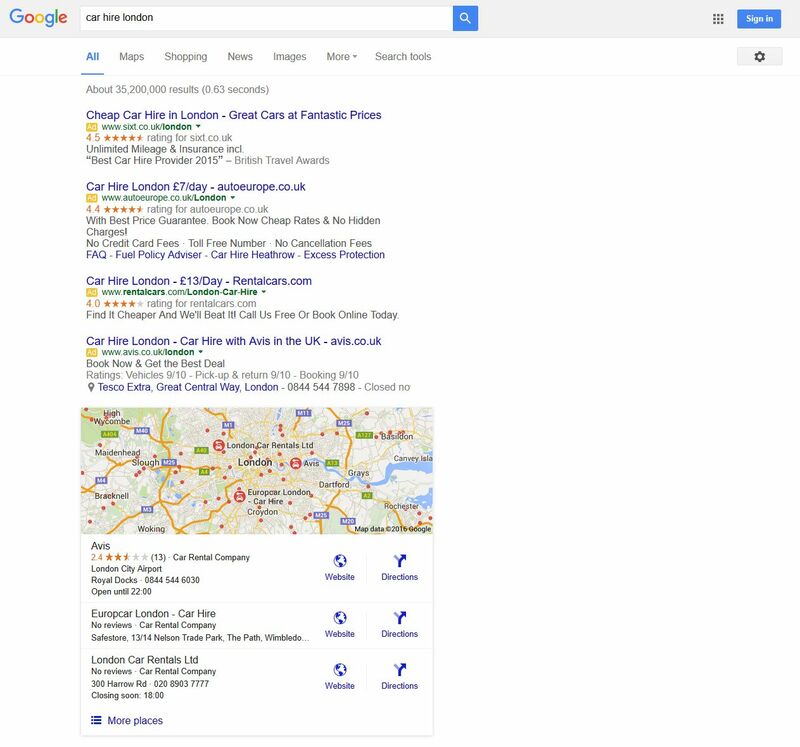 Local SEO – How to get on the Google Map snack pack for keywords with a local modifier? For keywords with a local modifier, the map results or snack pack as it is popularly known now shows up under the paid ads pushing the organic listings further down the page. So for local businesses that don’t want/cannot afford to pay for the sponsored places, the next best alternative is to get listed in the map section or snack pack as you can see in the image below. 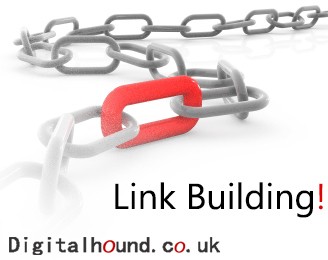 And if that can’t be achieved, then it will become increasingly important for businesses to be listed within the top 10 and create a page title and Meta description that hopefully will stand out from the rest of the competing sites on that page to entice the click- through. By placing an extra ad at the top of the SERPS and pushing the organic results further down the page, it does make getting top organic placements even more important than ever before and this is likely to hold true as long as there are 10 results displayed on the page. Local businesses will have to step up their efforts to either learn how to get listed on the map themselves or in the top 10 search results for keywords and phrases most important to their business or they will need to employ the services of an SEO agency that specialises in local SEO. Whichever way you look at this latest development the future does seem somewhat uncertain for organic search listings. Thankfully however, Google is no longer the only player in town and organic traffic can now be generated through other equally powerful social media platforms.